Looks like real GOLD, so wondering? 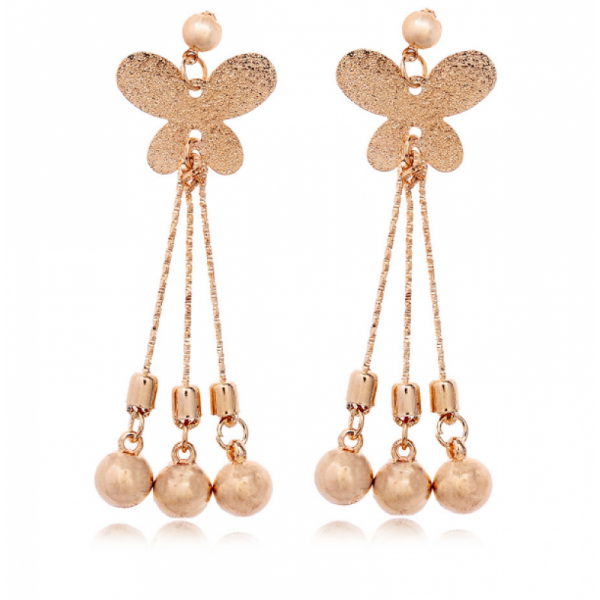 This GOLDEN color copper made butterfly with three hanging drop lines made with the schemed color and round bell at ending. 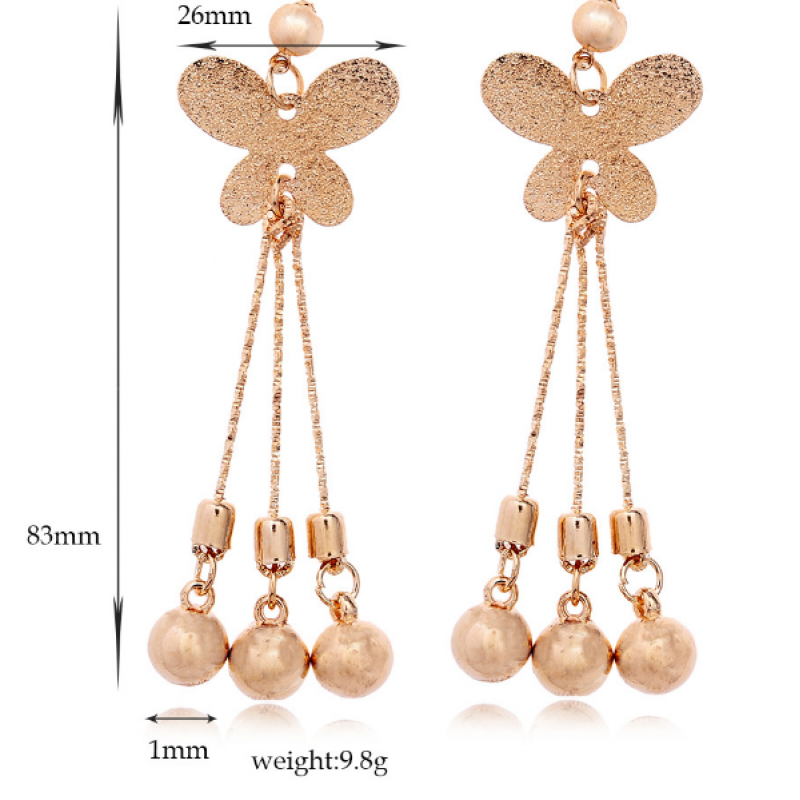 Exactly suitable for long earring loving girls. We are office such beautiful piece in very low price. This eye-catching double heart shaped superb zircon hanging style earrings with a beautiful round PU.. In earring do you like push back lock? Here it is!!! This two GOLDEN triangles are opposing each oth..